I took this photo a couple days ago next door to a last-minute assignment. 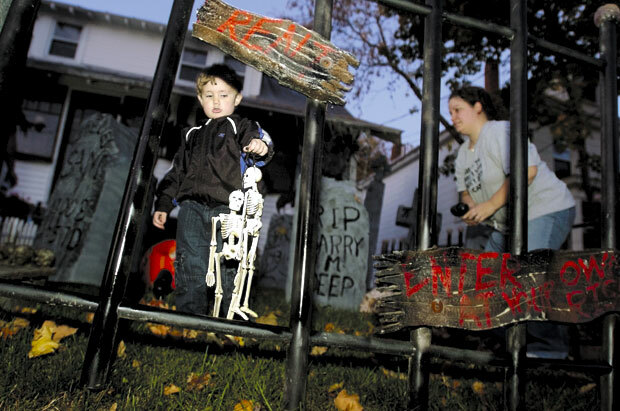 Xander Giguere, 3, helps his mother Melissa decorate their yard in Waterville Saturday night. The Giguere's plan to briefly host hundreds of trick-or-treaters to their haunted home on Halloween.